For the third time this year, the Washington Redskins Charitable Foundation hosted a Redskins FITT special event for local students. The Washington Redskins Charitable Foundation on Monday hosted the third Redskins FITT [Frequency, Intensity, Time and Type] special event Tuesday at Jefferson Middle School in Southwest, Washington, D.C. 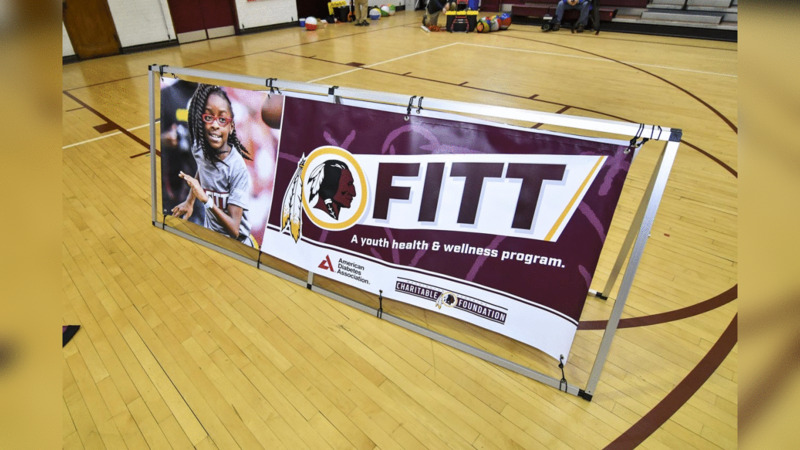 The Charitable Foundation partnered with the American Diabetes Association and GO-Adventures to host a Redskins FITT Teambuilding Seminar, which was attended by 100 middle school students. Redskins wide receiver Ryan Grant and guard Arie Kouandjio took time to join the students and spend the afternoon participating in the activities. With the help of GO-Adventures facilitators, Grant and Kouandjio led the students through a series of teambuilding and cognitive development exercises – all of which focused on the topics of trust, communication, cooperation and fun. Grant, Kouandjio and the students rotated to several stations around the campus, giving them ample opportunities to work on their skills. Kouandjio had a great time interacting with the young men and women and imparting some timely knowledge on them as well. In watching the students rotate from station to station, it was apparent that they were having a lot of fun, and were learning new communication and leadership skills along the way. As a part of the Redskins FITT program, students from Jefferson Middle School had the opportunity to participate in a physical activity and nutrition event on Tuesday, November 29, 2016. The ability for students to interact with one another through unique opportunities is exactly what the Redskins FITT program is all about, says Jane Rodgers, Executive Director of the Redskins Charitable Foundation.  Rodgers’ hope is that each and every young person who attended the seminar takes what he or she learned and applies it to their everyday life.